The composer Wolfgang Amadeus Mozart died at 1:00 am on 5 December 1791 at the age of 35, following a short illness. Mozart fell ill while in Prague for the premiere on 6 September of his opera La clemenza di Tito, written in 1791 on commission for the Emperor's coronation festivities. He was able to continue his professional functions for some time, and conducted the premiere of The Magic Flute on 30 September. The illness intensified on 20 November, at which point Mozart became bedridden, suffering from swelling, pain, and vomiting. Mozart was nursed in his final illness by Constanze and her youngest sister Sophie, and attended by the family doctor, Thomas Franz Closset. It is clear that he was mentally occupied with the task of finishing his Requiem. However, the evidence that he actually dictated passages to his student Süssmayr is very slim. 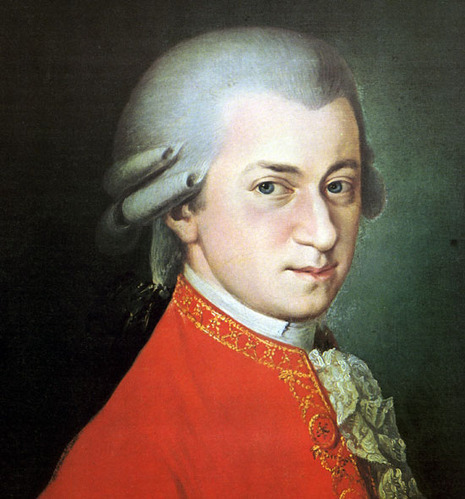 Ailing and suspecting his approaching death, Mozart worked on his last work - the unfinished Requiem K. 626. Shortly before one o'clock in the morning on December 5th, 1791, Wolfgang Amadeus Mozart died in his Vienna apartment at Rauhensteingasse No.8, after succumbing to a fever at the age of 35. The funeral was held at the cemetery of St. Marx in Vienna on December 6th.